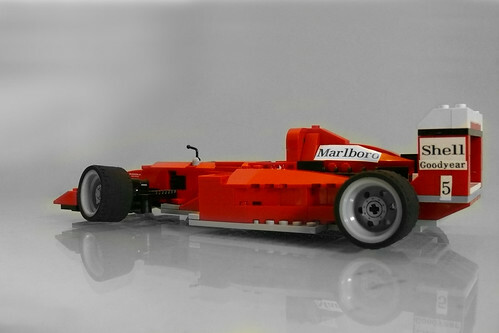 Michael Schumacher's 1997 Ferrari Formula One race car. 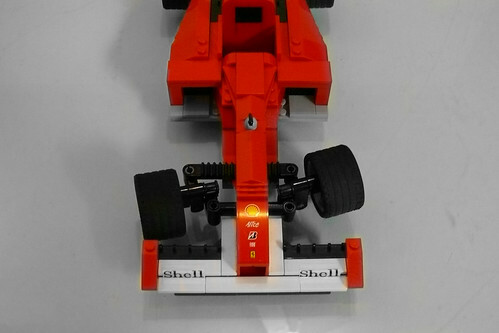 My version of the Ferrari F310B has working steering, and it's the first time I've done this. I'm guessing that most of the people who have working steering on their car(s) took the steering mechanism from a Technic set; but I couldn't do that because I actually don't own one. So I built the steering from scratch, not an easy thing to do for me. 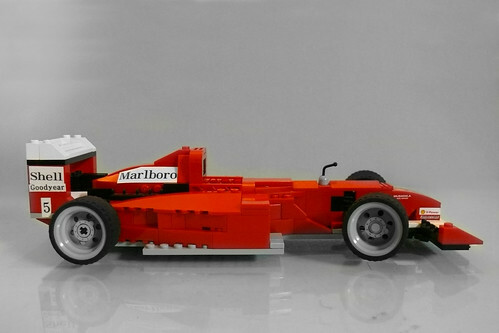 If you want to know more about the Ferrari F310B, I recommend visiting this page. The design is great and the working steering too, in all this car is really awesome. Very nice! 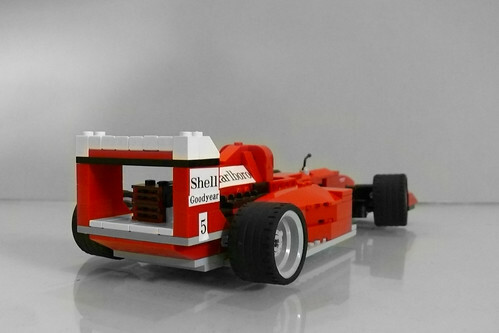 I like that it has steering, great job! 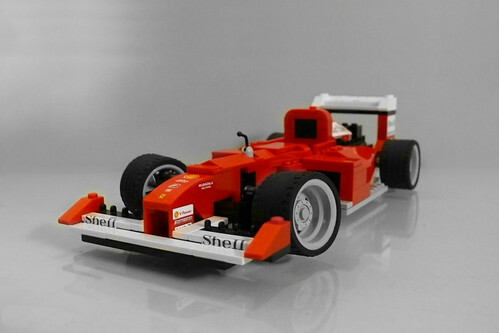 Great model, with nicely integrated steering. Very nice. I love the side pods and nose especially. 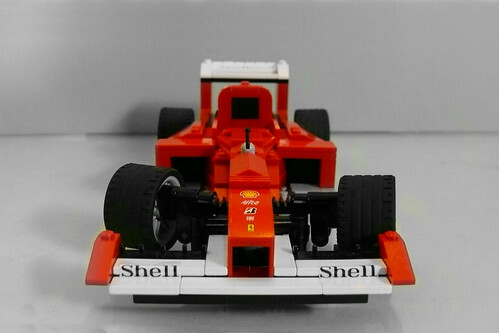 Great job on the steering it makes the photos look really good with the wheels turned slightly. I am not the biggest fan of stickers but they do look good. Awesome! It has a nice smooth look to it, and nice job on the working steering, that is always a challenge for me if I try to work it in. Cool car!